Today is International Women’s Day ~ Let’s Celebrate together! I am writing today with a very special gift for women, a free Red Thread Circle call series to support one another, tell stories and gather! Times may feel uncertain and strange…and so gathering together is something we CAN DO. This is not just about women. But women ~ men ~ and those on the continuum of either/or/and/neither. This isn’t a day that says no to anything that isn’t female. This is a day that says yes to all women as equal, celebrated beloved co-creators in this life in a GLOBAL CONTEXT. All women, all cultures. A day that says we will pause and honor the women in our life and in our world. A day that reminds us there is work to be done together, and we are doing it. A day of consciousness that could become a more daily consciousness instead of a once a year nod. A day of celebration and awareness! For me, the idea that today in our world, women are not seen and treated as equal is rather beyond imagination – it is insanity to continue to have to “fight” for the obvious. Yes we are different, but no, we are not less than any other being because of this difference. Systematic enforced coercive misogyny is learned, it is not natural. This way of being as a body of people on earth, is directly connected to our treatment of earth and has placed all of us in jeopardy. Many of us are beyond pointing fingers at any one antagonist. What if we could just move ourselves to the new place now? The new place where justice and human rights for all is no longer a choice, but a reality. While we work for it in our world, the first step is within our own soul space. Do you really truly believe and KNOW that women are equal? Let this land for you, if you haven’t done this already. Seems simple and obvious but your histories and the way we have been taught and raised requires a conscious shift into this awareness. The cultural gender mythos with which we raise future generations has to change. This is an invitation to let at least one woman know you are paying attention. And if you have children, share this history with them so they know. We are all part of telling the new story. 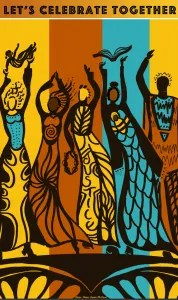 And if you are a woman and reading this, I am dancing with you, celebrating you! Because during all of this, we must dance! 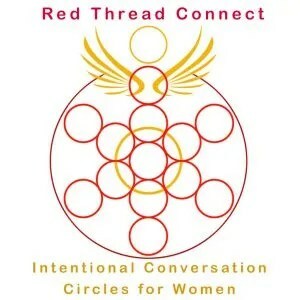 I am very excited to bring you Red Thread Connect, our FREE call series guided by Intentional Creativity Teachers and Red Thread Guides funded by the Intentional Creativity Foundation, 501c3. This is our community offering in honor of International Women’s Day! Comment + Share this message on Facebook with Women you are grateful for. 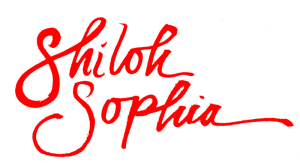 Register for our free Community Calls for Women Here. ← Italy Retreat – Renew. Reset. Replenish with us?